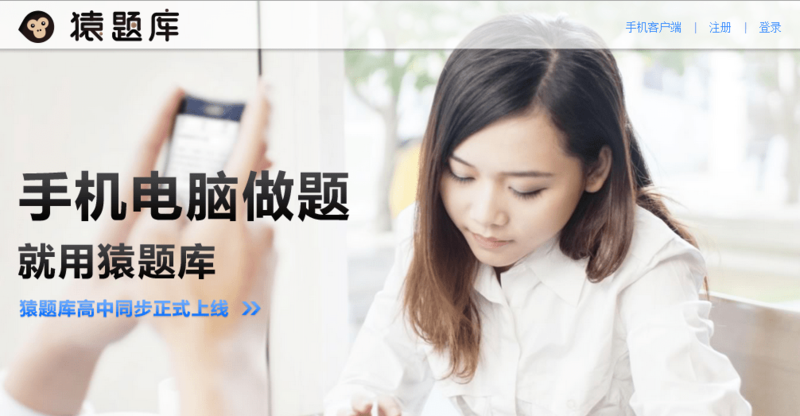 As online education concept is in full swing in China, Yuantiku, an online question bank, raised US$15 million of Series C financing from existing investors of Matrix Partners China and IDG at a market valuation of around US$125 million. The company has received US$2.2 million of Series A financing from IDG in 2012 and US$7 million Series B from Matrix Partners China and IDG in 2013. The new funding will be injected in product upgrading, marketing and branding, according to Yuantiku CEO Li Yong. Yuantiku is an one-to-one online smart exercise database that provides authoritative contents, mostly questions from previous exams, to students preparing to pass various tests. The company launched its first K-12-focused offering, a exam database for National College Entrance Exam, in October last year. This database has had over 1.5 million users as of the end of this June, representing one-sixth of the total students that participated in China’s national college entrance exam this year, according to the company. The startup has expanded to other tests like, administrative aptitude tests and essay tests for civil servants, politics of entrance exam for postgraduate, first-level constructor, enterprises law counselor, junior accountant, securities qualification test etc. By leveraging intelligent algorithm and big data mining technology, the database can analyze the test difficulty and performance of users so as identify their weak links and provide tailored exercises. Yuantiku offers online test database on both computers and mobile devices. The services are mainly monetized by charging monthly fees from users. Founded in August 2012 with core members from NetEase, the Beijing-based team started its business with education community Fenbi, and then shifted focus to Yuantiku in 2013.